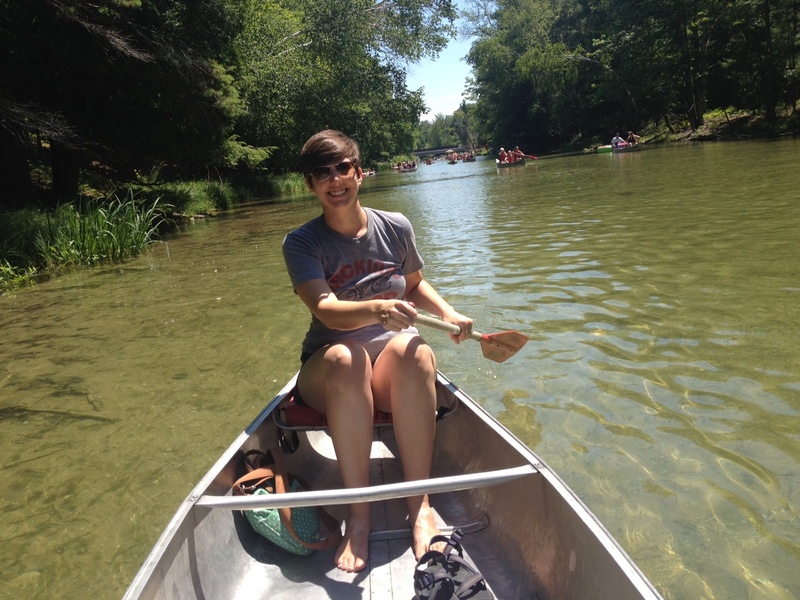 Paddle like you’ve never paddled before, Caitlyn! 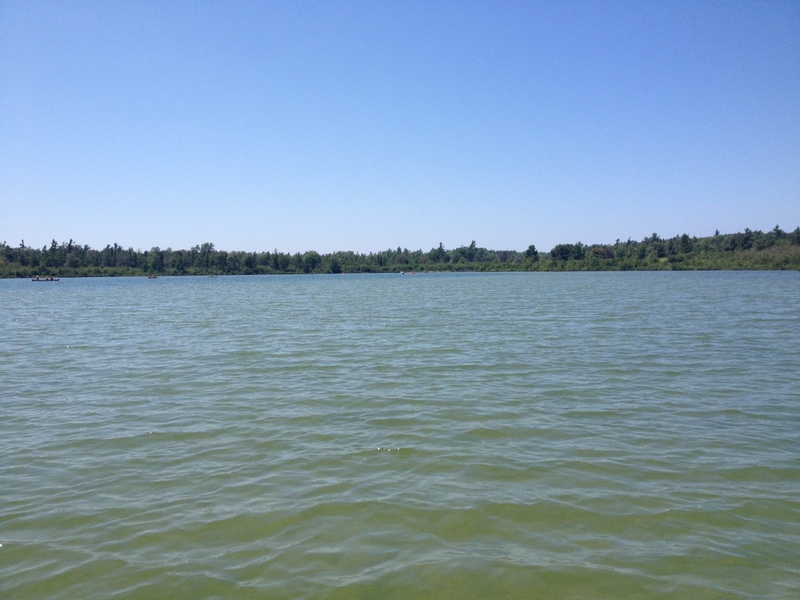 Spending time in northern Michigan doesn’t mean just gorging one’s self on fudge (although, that’s a big part of it). A key component of any trip “Up North” is also experiencing the beauty and majesty of the largely unspoiled natural environment—that is, assuming the weather cooperates with your plans. 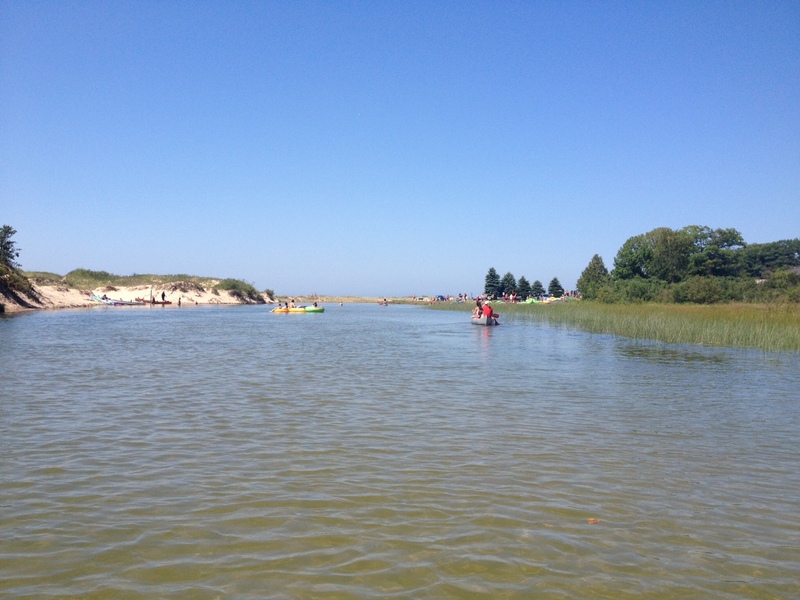 Thankfully, the weather did and Caitlyn and I made the 20-minute trek from The Frankfort House to Riverside Canoe Trips in nearby Honor, Mich. to take in some of the Lower Platte River, en route to the sandy, dune-dotted shore of Lake Michigan. Another lazy summer day on the river. In addition to canoes, visitors can rent kayaks—both in the 1- and 2-person varieties—and, unfortunately, tubes, for those who want to clog up the river for others more interested in actually getting exercise or being able to maneuver the river. Seriously, you will be AMAZED at the amount of tubers just floating around in the river, oblivious to canoes and kayaks. Rates are reasonable, at about $45 for a two-person canoe and you’re given 2-1/2 hours to complete the journey, or they tack on another $6. You’ll also be charged an extra $5 if they have to bring back your paddles and cushion at the end of the trip. One of the few spots without a lot of tubers, our archenemies. The way it works is you check in and buy your trip, then move your car to the nearby state park, where you catch a shuttle back to where you started and then hop into your canoe, en route to where your car is, essentially, parked. Be forewarned that there is a $4 fee to park in the small Lake Township lot near the beach, if you’re even lucky enough to find a spot. Otherwise, it’s a cool $10 to park along the street or in other nearby state park lots. And don’t think you can get away without paying the park fee: State Police are constantly roaming the main street looking for violators and issuing tickets. 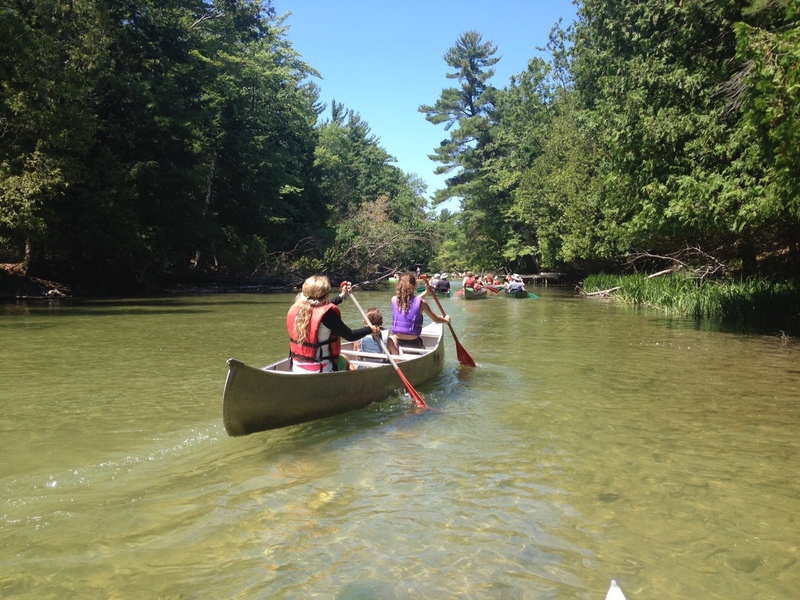 The canoe journey itself varies based on the number of tubers you have to deal with. We took this journey a few years ago and didn’t have nearly as many tubers to contend with as we did last week. That said, there are some breaks, especially when you come to a small lake where you have some wiggle room to separate yourself from the pack. There are also a few “Choose Your Own Adventure” moments, where you hit a fork in the watery road, but rest assured—all options always converge. Near the end of the line. The weather for us was gorgeous—upper 70s and sunny—but it was still enough to give Caitlyn sunburn, even with plenty of sunscreen, so remember to reapply! Also make sure to have whoever is better at controlling your vessel’s direction in the back, which is something Caitlyn and I learned years ago the hard way. If you’re a pro at canoeing (and don’t want to deal with tubers), you can try the faster Upper Platte River. There’s also The Honor Trading Post, another river experience company just a few miles away.